As a packed out O2 Arena played host to a scintillating night of boxing - it also left a trail of intoxicating battles and two unanticipated shocks on the card. It was worth every penny - and here are five things we learned from it. Ranging from Anthony Joshua's sternest test but most devastating win over seven rounds, Chris Eubank Jr capitulating Spike O'Sullivan in an exhilarating slugfest, Ismael Barroso's quantum leap to Anthony Crolla's clutches shot courtesy of a spectacular knockout of Kevin Mitchell, cruiserweight Tony Bellew continuing his journey to world title glory and a disappointing and unexpected points defeat for Luke Campbell. It had it all - but what will we take away from a historic night of British boxing? In one of the most captivating and explosive heavyweight contests in recent memory, Anthony Joshua prevailed with a brutal knockout of bitter rival Dillian Whyte. However, the control of a fight Joshua is accustomed to was in distinction to him; Whyte halting his success in the second and third rounds with a plethora's of onslaughts. A sweet left hook badly staggered Joshua but he unravelled a defensive side to his game; passing a stern test of character and discipline. Immediately after the left hook landed flush, Joshua's guard arose and albeit he absorbed crunching shots, he also blocked the majority of them too. Many prospects, when in a crisis, begin to panic and defences become nonexistent. Dillian Whyte is a hard puncher but was still unable to score a knockdown. Despite lack of head movement, the 26-year old retained a high guard which prevented Whyte from obtaining excessive success. During the middle rounds, Joshua evidently tired and was throwing slow and sluggish shots; presenting the danger of being counter-punched. After a torrid second and third round, Joshua would eventually seize traction. Brutalising his rival Whyte with punishing shots; a beautifully timed right hand then marked the beginning of the end for the 27-year old. 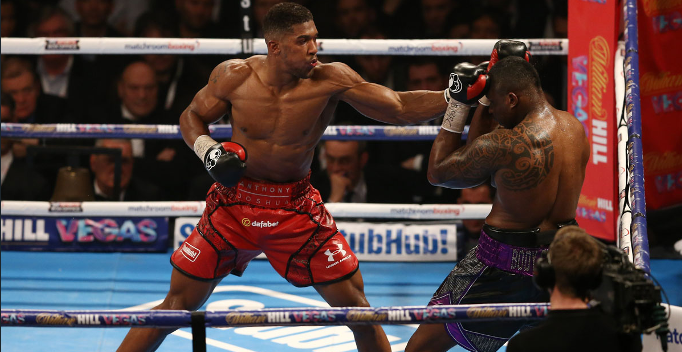 Staggering badly, Joshua upped the ante and pummeled Whyte against the ropes. Using his boxing brain to full advantage, Joshua selected his shots superbly during the sustained attack. A savage right uppercut saw Whyte helplessly crash to the canvas and Joshua, a relieved man, embraced with his team. Cool, calm and collected. During a stormy spell, Anthony Joshua dug deep to eventually find the winning combination and announce his lofty ambitions in the heavyweight division. Despite landing enough bombs to capitulate O'Sullivan, it was an ugly scrap in which saw Eubank Jr uncannily abandon his gameplan to enable the type of fight he wanted but ultimately, one that favoured his rival. The 26-year old felt the power of Spike O'Sullivan in the opening rounds but his powerful and speedy combinations eventually took their toll on the Irishman who was pulled out of the fight due to excessive punishment received. However - he seemingly abandoned his gameplan and often made silly mistakes - such as showboating which resulted in O'Sullivan landing a flush left hook and then a solid straight right one round later. Adam Booth, rightfully regarded as one of the world's best trainers, usually implements a specific fighting rhymer into his fighters. Eubank Jr, the obvious aggressor, disobeyed Booth's gameplan and ostensibly fought his father's style. Emulating Chris Snr's success is clearly on his agenda, but abandoning a gameplan is the biggest mistake he could make. Eubank Jr is next in line to challenge WBA champion Daniel Jacobs and despite showcasing lightening hand speed and brutal power - he must terminate unnecessary showboating, complacence and fight to Adam Booth's instructions at all times. If not, he could be punished at world level. Previously unknown - but after his decimation of Kevin Mitchell - the name Ismael Barroso was ringing around the boxing world. Suddenly, he propelled himself from demoralizing desolation to the verge of a WBA title shot. The quick hands, relentless pressure and devastating power of Barroso spelled the end for Kevin Mitchell inside five torrid rounds; he was cagey and tentative but when forced to engage also foresaw uncalculated and sluggish attacks. Pinned against the ropes, spiteful southpaw Barroso pummeled the Londoner with fearsome strikes. Mitchell, always prepared for war, failed to grab hold and received unforgiving punishment at the hands of the quantum leap of a beast. Reminiscent of southpaw and fierce puncher Guillermo Rigondeaux, there is a lingering worry that Barroso will be the avoided monster at 135lbs. Next in line to face Anthony Crolla, the Venezuelan simply has to seize the opportunity of stardom. Kevin Mitchell, however, will be extremely disappointed. After a heroic defeat to Jorge Linares in May, this was the perfect chance to leap back into the world title picture but a mixture of Ismael Barroso's terrorising nature and Mitchell's body absorbing too much punishment over the course of his gritty and brazen career has seemingly brought it to a halt. Mateusz Masternak is a tough and durable opponent - he proved that. Tony Bellew landed his very best shots but was still unable to score a knockdown. The Pole found himself in major trouble late in the fight; Bellew pounding him with punishing shots ranging from head to body. Tony Bellew showcased heaps of heart and courage, but unconvincingly and merely scraping past Mateusz Masternak yet again corroborates his lack of skill required to mix with the elite cruiserweights. Often unsettled by constant right hands - Bellew's defence was nonexistent at times which further underlines his frailties; ones that world champions such as Krzysztof Głowacki and Grigory Drozd would expose. Glowacki and Drozd are both durable cruiserweight titlists and would definitely take Bellew into the late rounds. Providing that Bellew absorbs their power, his stamina remains a big issue. The Liverpudlian found himself gassed; throwing wild and sloppy punches to scrape victory against a durable but hardly groundbreaking opponent. 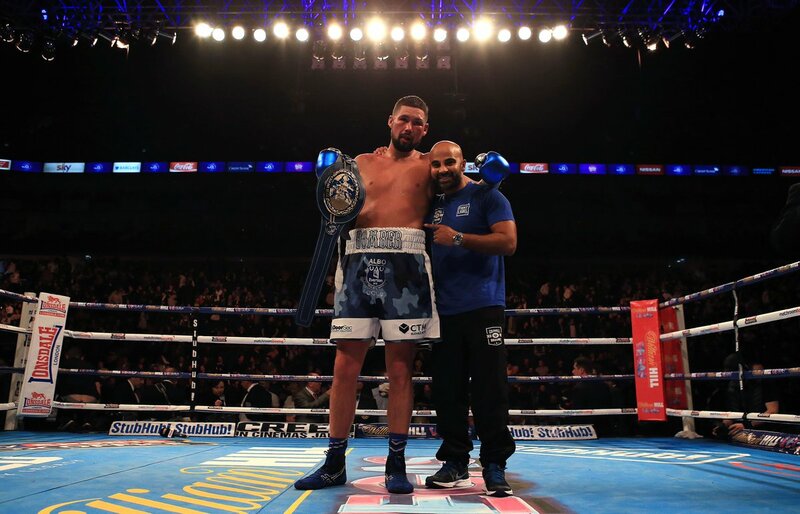 Tony Bellew carries more power at cruiserweight and suits that division more than light-heavyweight, but his stamina and ponderousness are major disadvantages that will always cost him world title glory. Unarguably the biggest shock of the night saw the highly-rated former Olympic-gold medallist Luke Campbell lose his undefeated record on a points defeat to Yvan Mendy. Having been floored in the middle rounds, Campbell was outclassed throughout the fight and failed to gain any traction that suggested he deserved to win a decision. Yvan Mendy, superior in size and strength, continuously puzzled Campbell who had no answer to his success. He was inferior in size; Mendy's relentless pressure and huge body frame allowed him to gradually extract stamina from the disorientated Campbell who lacked power to trouble his durable opponent. As former boxer Curtis Woodhouse stated, Campbell has faultless skills but lack of power and physical frame is a huge disadvantage. Elite fighters will dominate him on the inside with their superiority in size. Mendy has exposed Campbell's frailties and while he can learn from this defeat and certainly bounce back, his punching power could be an issue. Campbell carries too much muscle to drop down to super-featherweight and his legs bailed him against Yvan Mendy. His 10 knockouts in 12 fights is so misleading.